The comedy team my sister Lise Vigneault is a part of, Depflies, has been voted to be put into production by CBC’s ComedyCoup. Originally there was going to be just one winner, but they decided to produce Montreal’s Depflies as well as Vancouver’s Human Town. Transfer, the short film I co-wrote with filmmaker Chris Spencer-Lowe (with excellent contribution from the film’s principal actor, Ben Stone), will be screening tomorrow, Saturday Oct. 25th, at the Charlottetown Island Media Arts Festival. Transfer, the short film I co-wrote with filmmaker Chris Spencer-Lowe (with excellent contribution from the film’s principal actor, Ben Stone), will be appearing this October in the Festival du Nouveau Cinema in Montreal. The film is screening on the 9th and 17th of October. 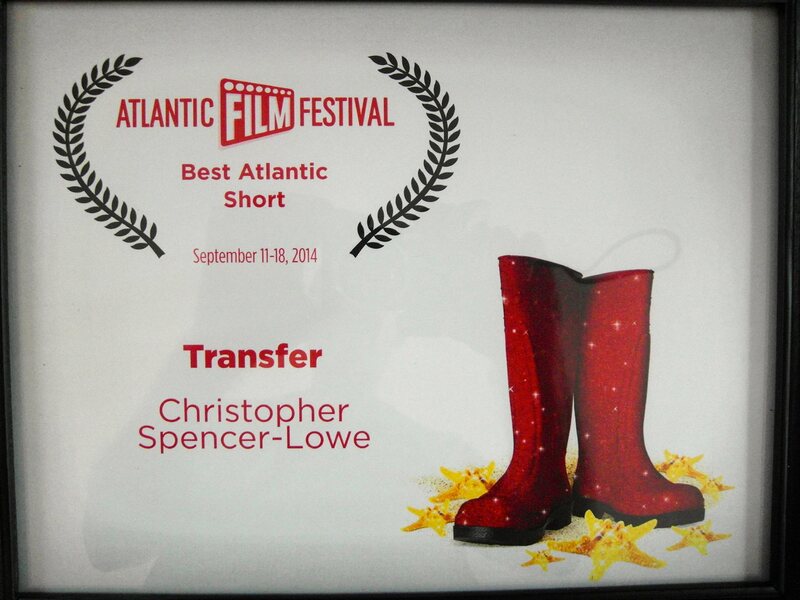 Transfer, the film I co-wrote with filmmaker Chris Spencer-Lowe, has won the best short film prize at the 34th Atlantic Film Festival!